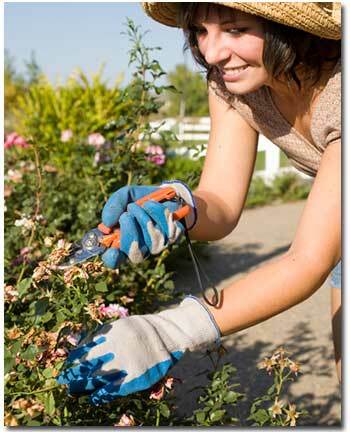 It’s time to start deadheading and removing spent flowers from your precious plants. If you haven’t already, they may be starting to look a little ragged. We still have a good month or more of heat. The sudden climate changes we experience in Southern California can really be hard on your plants. Many plants will benefit–and even rebloom–after a mid-summer session of “deadheading,” that is, removing spent flowers and/or stems to promote new growth. Do an overall snip of dead blooms (about 2″ below the flower) on blanketflower, columbine, globe thistle, goldenrod, geranium, Jacob’s ladder, salvia, coreopsis/tickseed. Cut off the entire spent flower stem to either a side shoot or to the plant’s base on baby’s breath, bleeding heart, cardinal flower, catmint, coral bells, foamflower, gaura, Jupiter’s beard, lavender, lupine, mullein, painted daisy, pincushion flower, coneflower, Shasta daisy, speedwell, spiderwort, Stoke’s aster.